3 years Engineering Diploma in Electrical discipline from any Government recognized Institute. (Approved by AICTE) The diploma of “Electrical & Electronics” / “Electrical & Instrumentation” will be considered equivalent to Electrical. Application fee : of Rs.700/- for General, OBC category AND Rs. 500/- for SC/ST category candidates of Chhattisgarh State. Selection Process : Selection process involves offline written test of two hours duration. The written test will comprise of 100 objective type questions with multiple choice answers consisting of 80 questions related to professional subject and 20 questions to judge the general awareness & reasoning. The selection shall be on merit basis in written examination only, subject to fulfilling all the criteria / requirements as per this advertisement. 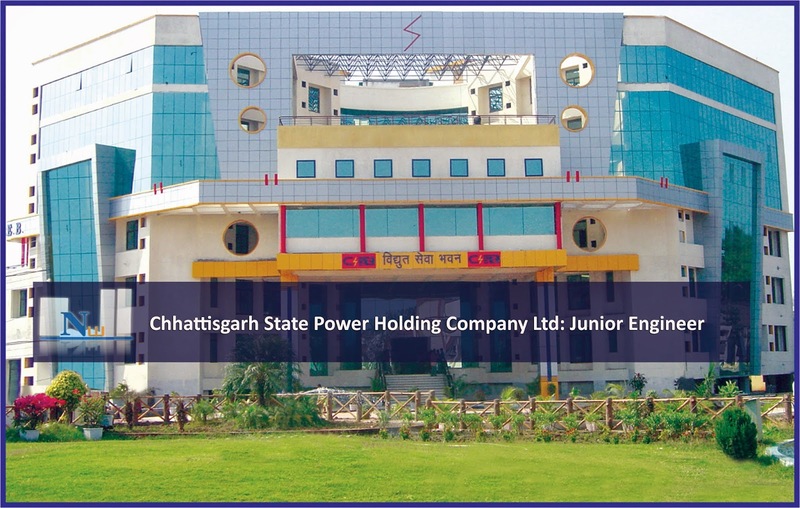 Verification of documents of the short listed candidates for the post of Junior Engineer (T&D) / (Civil) -Trainee will be done through counseling at Raipur.